Improve your life with subliminal stimulus! Subliminal Recordings use Positive Voice Affirmations that can bypass your conscious and penetrate your subconscious. They are repeated at a volume level just low enough so you may not hear them. However, your subconscious will notice them and they work on your subconscious. With the help of these voice affirmations, you can reprogram your subconscious easily and make great progress. They will help you achieve the goals you are longing for! 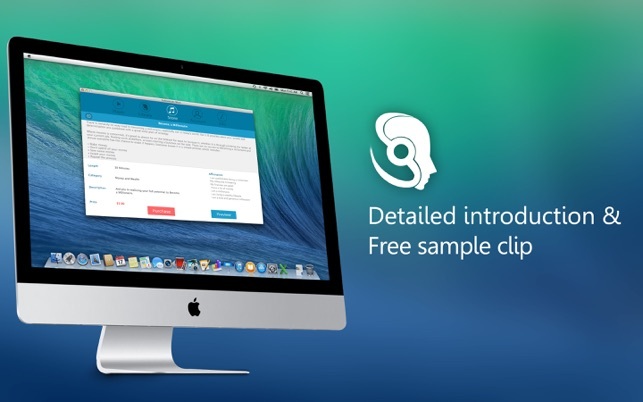 All subliminal recordings are recorded by Christine Hogan, a Licensed Clinical Social Worker who holds an LCSW and a Master's Degree in Social Work. It's your mind at stake, so assure yourself you are dealing with professionals. 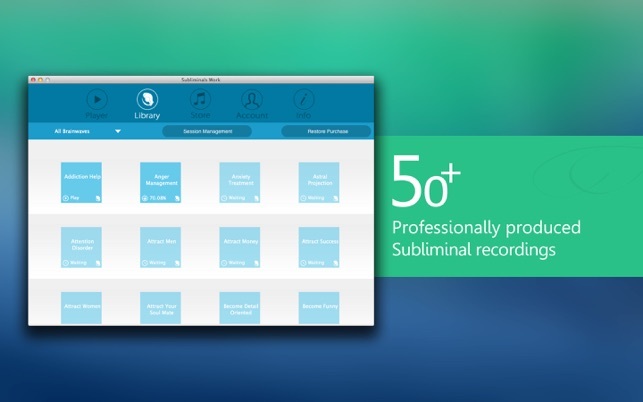 A 30-minute Relaxation subliminal recording (value of $6) will be already in your Library along with the app’s download. Currently, subliminal recordings in Subliminals Work involve a variety of categories. They can help you gain wealth, have a positive mind, become much healthier, achieve better personal development, lose weight, have a good relationship with your partner and so on. I downloaded this app as I was impressed with the playlist and the samples. The website is also very informative. I tried to purchase some of the sessions but then nothing happened. Apple confirmed the purchase but it never showed up in the app playlist. I sent an email a few hours ago to the developers but have not yet received a response at the time of writing this review. This could be such a great app if it worked. Disappointed. i’ve been using it for the past few hours since I’m a new user but so far I’m impressed with the app’s ability to really keep me relaxed. I’m not sure how the subliminal messages are working on me but the audio really relaxes and helps me destress after a long day. There’s a variety of sublminal messages you can purchase including ways to attract people or to save your money. Pretty useful things in life if I do say so myself. 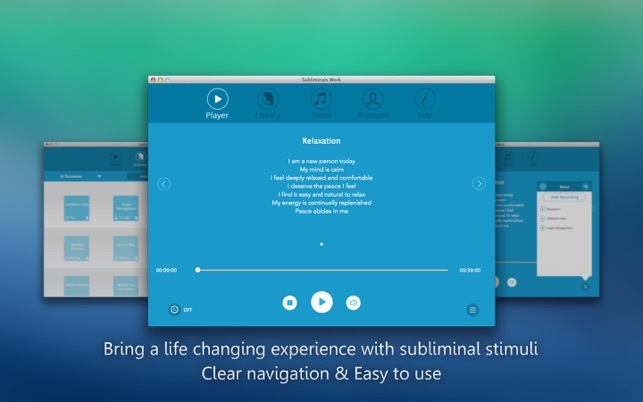 I’d suggest everyone try it, you’ve got nothing to lose and worst case the audio will just relax the heck out of you.